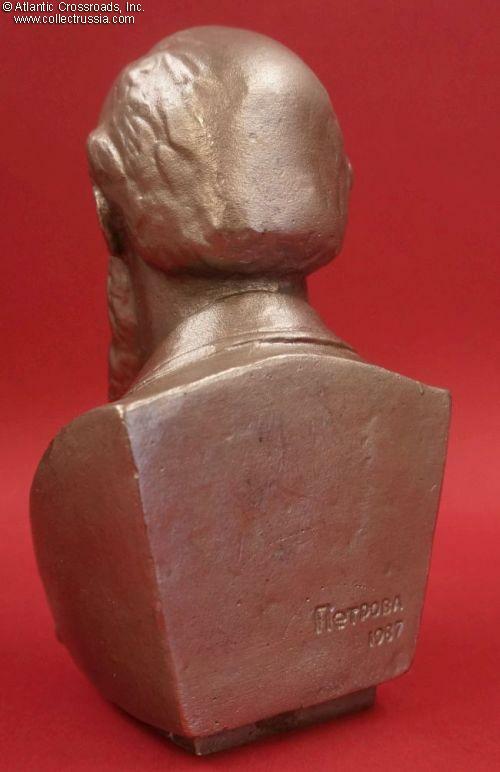 Bust of Friedrich Engels in Silumin alloy, by sculptor Petrova, dated 1987. Stands about 6 1/4" tall. 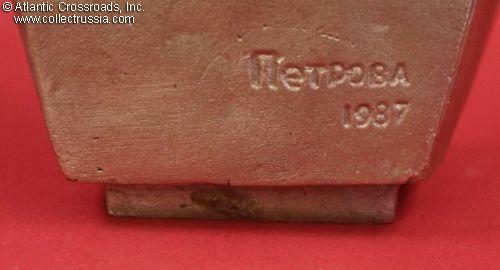 The sculptor's name and date are clearly marked on the back. Excellent condition and likeness. 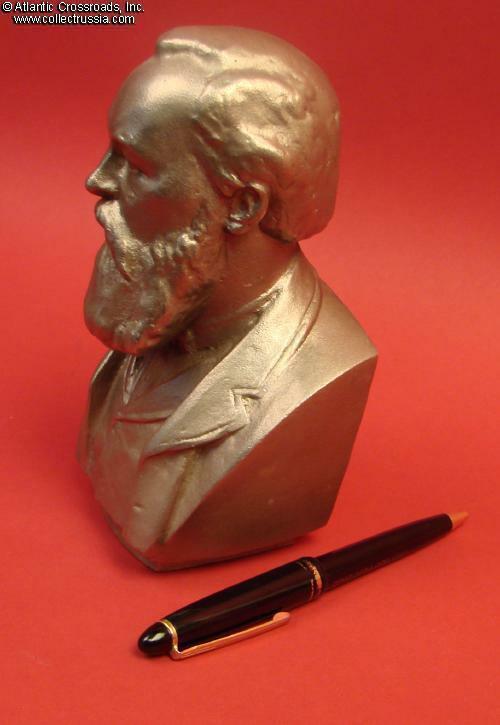 Son of a Prussian bourgeois, Engels spent much of his lifetime writing and publishing leftist propaganda. 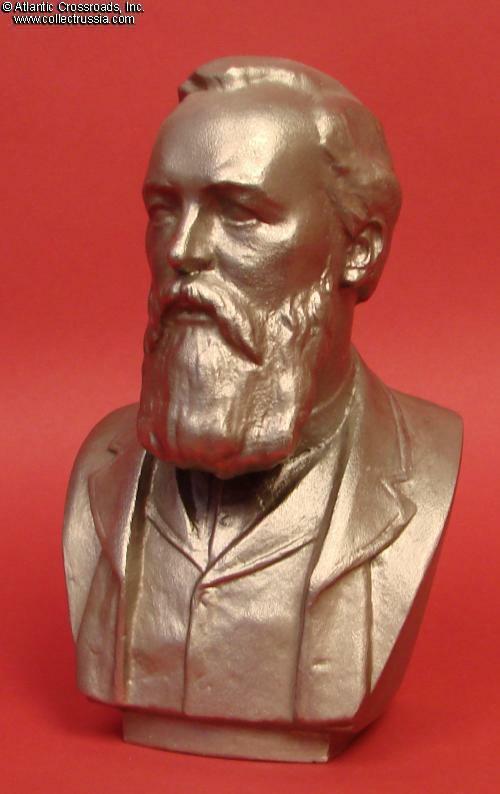 Eventually, he became close friend and associate of Karl Marx, and co- authored the infamous "Communist Manifesto". 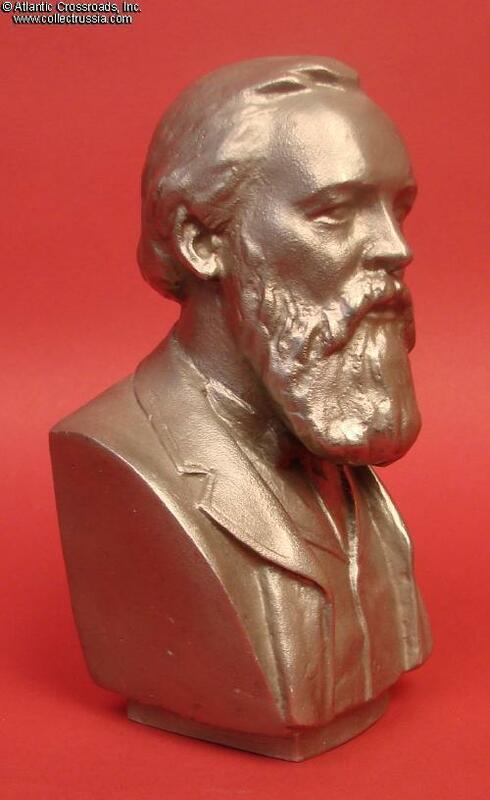 Although Engels has always been one of the three main figures in the communist pantheon, his portraits and sculptures are less common than that of Marx or Lenin.